FINALLY AVAILABLE! Great mixed-use development opportunity bordering the National Park and overlooking Custom House Square and Wing's Court. 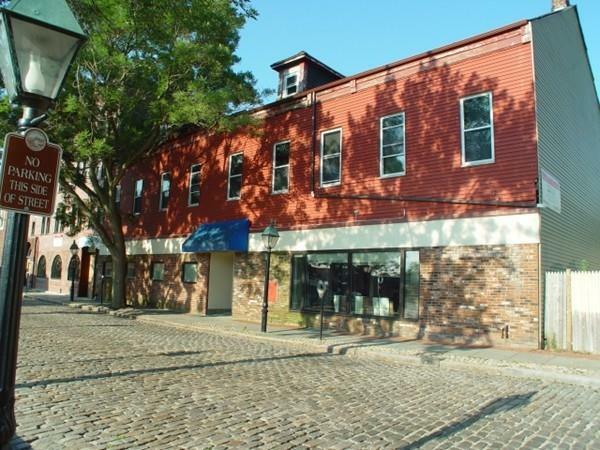 In the heart of New Bedford's Historic Downtown. Included in sale: 4 story brick structure & 2 story frame structure only. Both parcels are in need of re-development. Great opportunity for experienced developers! EXTREMELY desirable location- Join the Downtown Renaissance. Listing courtesy of E. Jeffrey Pontiff of E. J. Pontiff Real Estate. Listing provided courtesy of E. Jeffrey Pontiff of E. J. Pontiff Real Estate.